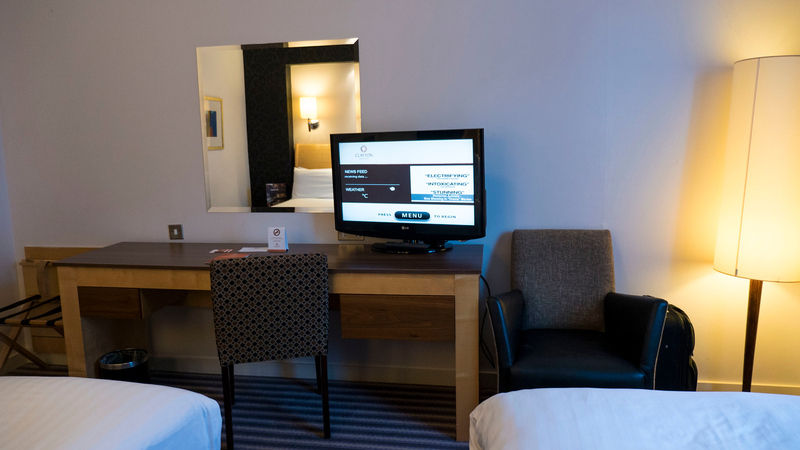 Searching for where to stay in Belfast? When you’re driving all day and you reach the city, it’s best to have a spot to put the car and forget about it. I prefer walking everywhere as much as possible, especially in a larger metropolis. I have so many positive things to write about the Clayton Hotel Belfast, and its superb location is just one of them. How important is the location of a hotel to you? Do you prefer being in the middle of the city? It can’t get much better than this! 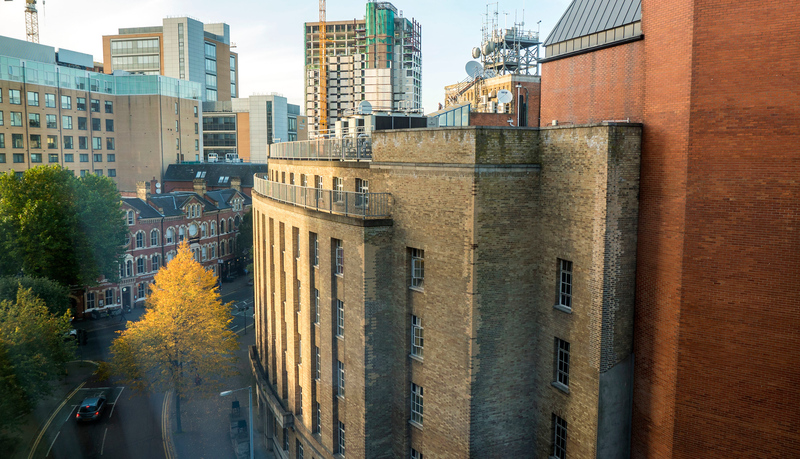 The four star Clayton Hotel Belfast is right in the city centre, meaning that you can leave your car behind and walk all over town. 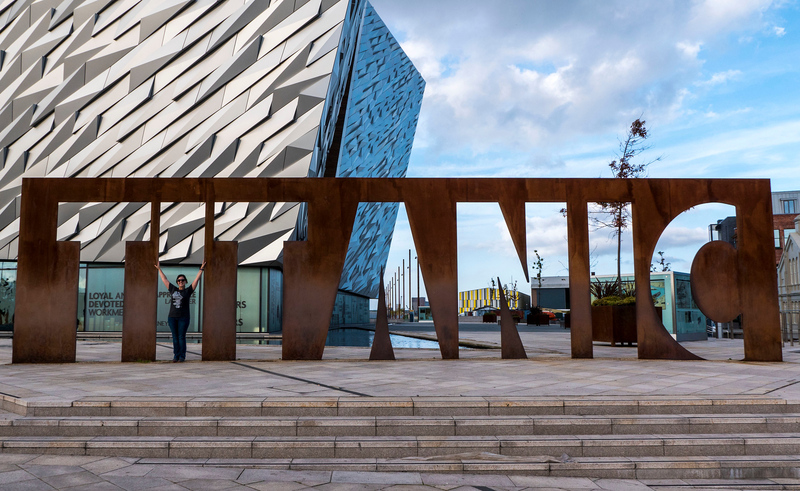 You can easily saunter over to the Titanic Belfast, the murals in Belfast, and many restaurants and shops. Explore on your own two feet. If you need to travel farther than you’re willing to walk, it’s easy to call an Uber in Belfast. Back to the hotel itself, I was very pleased with the luxurious and spacious room. I had a fabulous night’s rest in my comfortable bed, with its fluffy pillows and perfectly firm mattress. This particular room had two beds (one queen and one single). After a day on the town, it’s great to unwind by catching up on your favourite shows while resting in bed. If you feel like working, there’s a large desk with plenty of power outlets. Wi-Fi is free and fast. 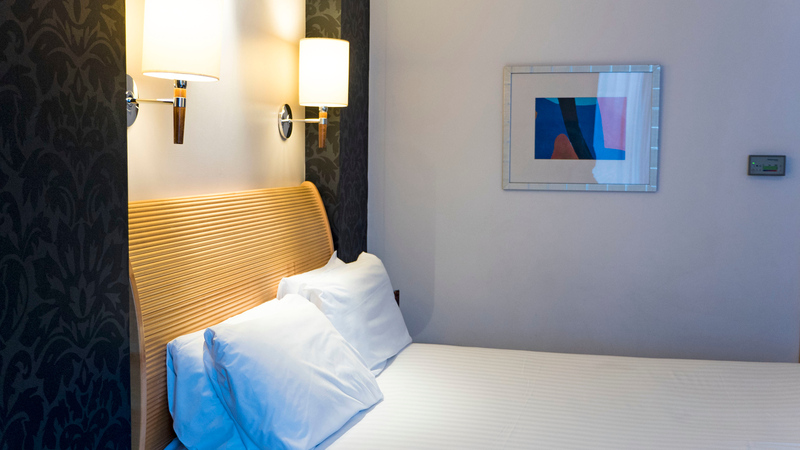 The decor is sleek and modern, yet there’s a relaxed sophistication that feels more like home than a hotel room. Be sure to make yourself a cup of tea with the kettle and complimentary tea bags. The city view of Belfast from our hotel room window was quite stunning. Don’t worry about any noise coming up from the street at night. I’m a light sleeper and I dozed off without being disturbed by any sounds or bumps in the night. 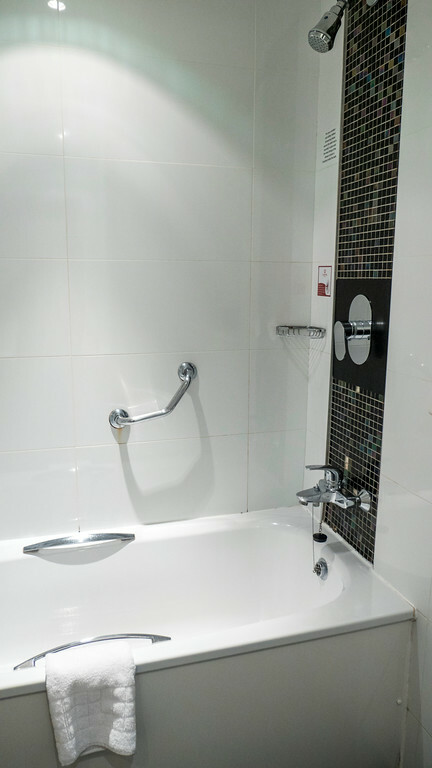 The bathroom has a full bathtub for a tranquil experience. Relax those sore muscles that you exercised by walking around the city all day. If you pour a bit of the shower gel into the running water, it creates just the right amount of bubbles for your bath! 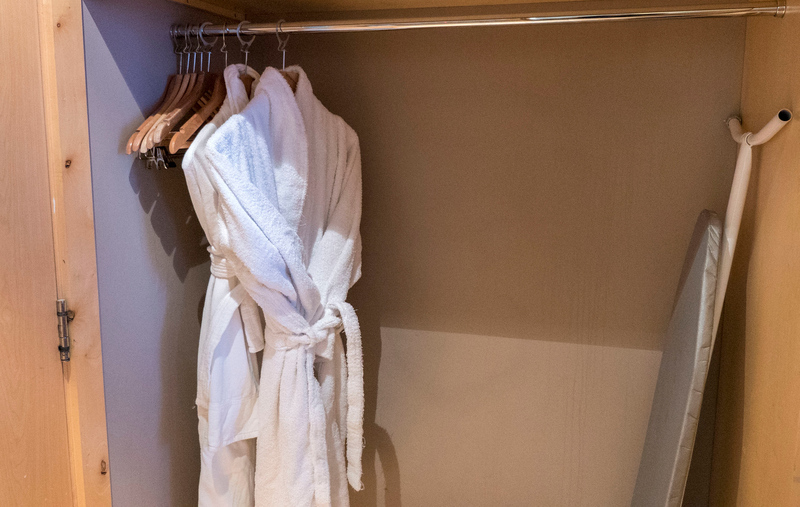 Throw on your luxe bath robe after your soak to pretend you’re at the day spa. We didn’t do our research at first and had no idea where to park the car. While there is no parking facility at the hotel, the parking lot is directly behind it on Dublin Road. It’s a secured car park that’s locked at night. 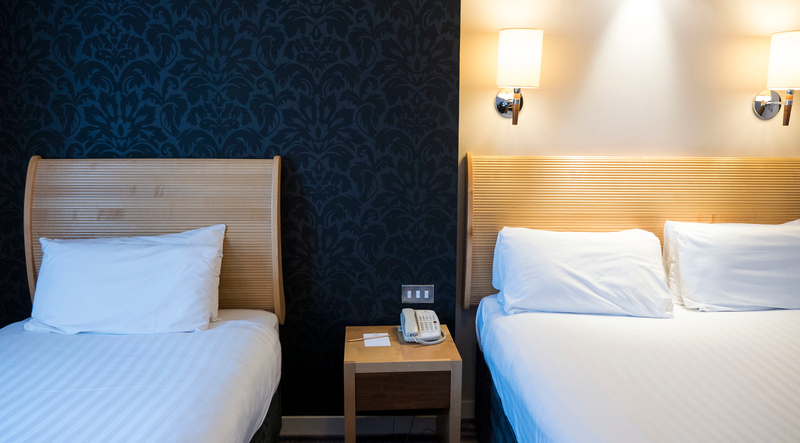 There’s a special rate with the hotel – £10 for 24 hours (no in/out privileges). Pick up a special ticket from reception in order to get the discount. Please note that the car park is locked overnight and you won’t be able to retrieve your vehicle until around 6:45am. If you have an early morning flight, I’d consider parking your car in a different spot. While I didn’t have the chance to use the facilities, there are so amenities at the Clayton Hotel Belfast. You barely need to leave the hotel to feel as though you’re on vacation. At the leisure centre, there’s a swimming pool, Jacuzzi, sauna, steam room, gym, and beauty spa. 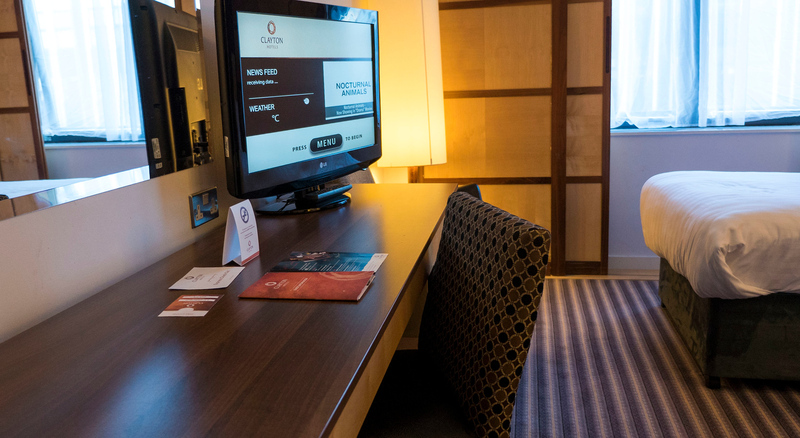 For the business traveller, there are several meeting rooms and a massive conference centre. The Olympic Ballroom on the main floor is perfect for any functions, such as exhibitions, weddings, and banquets. There’s a restaurant and bar, as well as a full breakfast served in the morning. The members of staff were welcoming, informative, and super friendly. Before departing bright and early in the morning, I had a lengthy conversation with a staff member about where we were headed next (the Causeway Coastal Route) and his personal recommendations. He actually told us about the certificate you can buy once you cross the Carrick-a-Rede rope bridge. It’s great to have tips from a local to make the trip even more enjoyable. Although we were awake and ready to go before breakfast was ready, the server went the extra mile to brew us fresh cups of coffee to take on the road. It’s the little things like these that contribute to a pleasant trip. 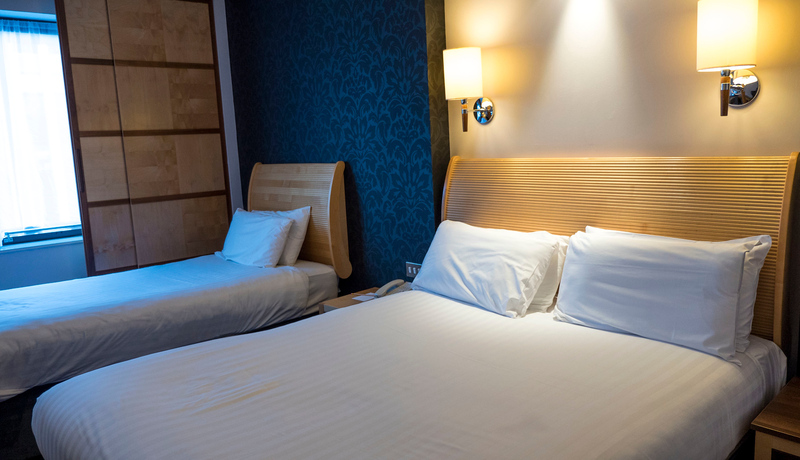 From the cozy bed to the convenient location and friendly staff, the Clayton Hotel Belfast really checks all the boxes when it comes to an ideal overnight stay. There’s really something for everyone, whether its a family fun vacation, a quiet getaway as a couple, traveling with a blogger friend (my trip! ), or attending a business event for work. 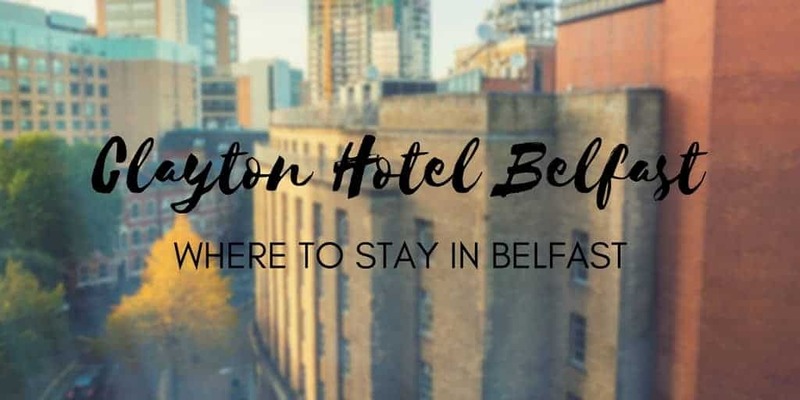 To book your stay at the Clayton Hotel Belfast, check out their website. To read more reviews, view the Clayton Hotel Belfast on Tripadvisor. Check out all my photos from Belfast! Here’s my travel photo album of Belfast. Thank you so much to the Clayton Hotel Belfast for hosting my stay. My opinions, as always, are entirely my own. Location is definitely key when picking a hotel, and it sounds like you ended up in the right spot. I love that it has both a bath and bathrobes- it’s amazing how few rooms do! This seems like a nice hotel! We’ve never been to Belgrade, but would like to go there one day. And when we do, we might consider staying at Clayton Hotel too. I agree with you: when visiting a big city, it’s always best to do it on foot, and if the hotel is right in the city center like this one, then it’s perfect! It’s also good to know that they have a special rate for the parking lot just around the corner. Thank you for sharing your review! Looks like a nice hotel. I haven’t been to Northern Ireland yet, but I want to take a road trip there! I love booking a hotel with a bathtub as we don’t have one at home… and after a day out exploring a city, it’s super relaxing! And I also like when staff gives local tips :) Thanks for your review. Do you know if the hotel does some eco-friendly initiatives? This looks like a great hotel! I love that you get a peek at the beautiful city out the window. Plus, being in a great location is a HUGE plus for me. I like being able to walk places. 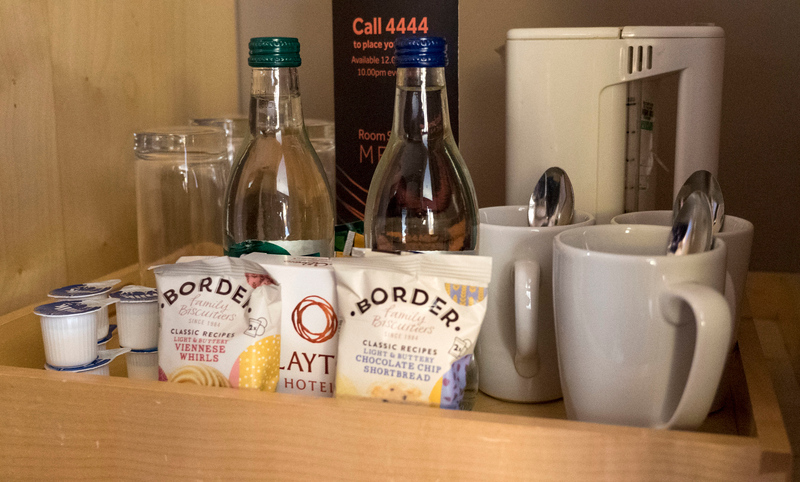 This sounds like a great place to stay in Belfast – and anywhere that gives you chocolate shortbread and viennese whirls with your tea gets my vote! It’s a shame you didn’t get chance to use the pool, that’s my favourite thing about staying in a hotel with leisure facilities! Looks like a lovely spot. I’m bummed I missed out on Belfast last time I was in Ireland (and then again when I missed out on tbex :( ) This looks like a great location to explore the city! Location is always key for me. I too love to walk and explore cities on foot, so the central location of The Clayton Hotel is ideal. There is nothing worse than arriving at a hotel and realising it is a 20 minute walk to get to anything. I wish I’d known about this hotel before I went. 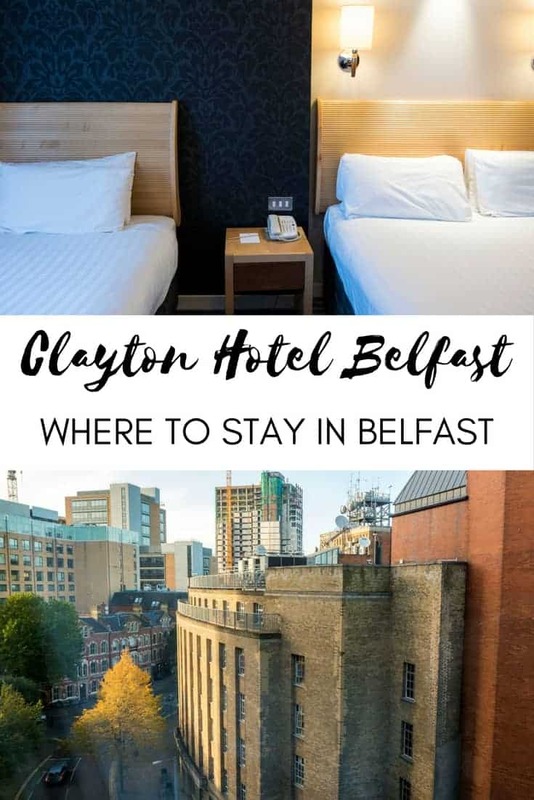 I had a tough time choosing a hotel in Belfast and the location of the Clayton sounds ideal, especially if you want to walk around the city a lot. What a fun city. Thanks for the tip. 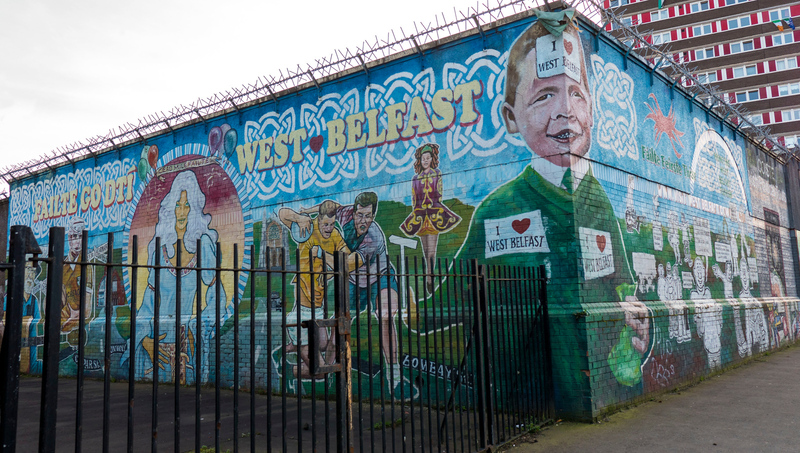 Belfast is such a neat city! This makes me want to go back again to explore more  I love how this hotel is easy walking distance from a lot of the great things to see in the city—that’s always a huge plus. 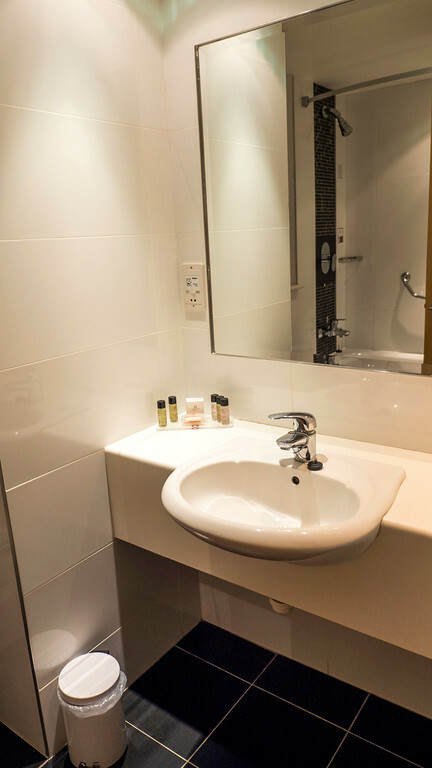 I love the design of the hotel as well—the room looks really cozy and the amenities like the Jacuzzi, sauna, and steam room sound fantastic! Looks like a great find for a hotel, and we will definitely have to check it out next time we visit!